The first thing decision makers do when you try to sell to them is to assess the risk of doing business with you. The #1 reason decision makers don’t buy from you is: their perception of the risk of doing business with you is greater than their perception of your credibility. 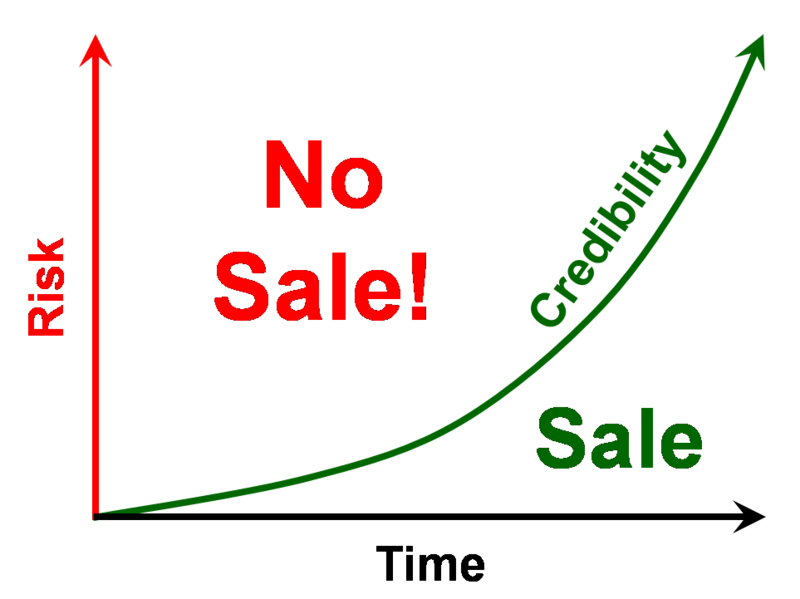 One of the biggest mistakes salespeople make is chasing sales where a decision maker’s perception of the risk of doing business with them is above your point on the Credibility Curve™. In order for you to make the sale, the buyer needs to believe that you and your company’s credibility is greater than their perception of the risk of doing business with you. To maximize your selling opportunities, you can raise your credibility with the decision maker and/or lower the decision maker’s perception of the risk of doing business with you. The sixth chapter of SHiFT! is about how to close more sales by making it less risky for decision makers to become your customer. Contact me to learn simple strategies that will help you reduce the buyer’s perception of the risk of buying from you and increase the buyer’s perception of your credibility.